We recently purchased a new Colido 2.0 3D printer. After running lots of smaller test pieces, and generally fine tuning the machine, we have started to push this printer with some more intricate 3d objects. During our initial tests, we struggled to obtain a high quality print using Repetier Host. We already own a Flashforge Creator Pro, and have been using Simplify3D for a number of months with great success. 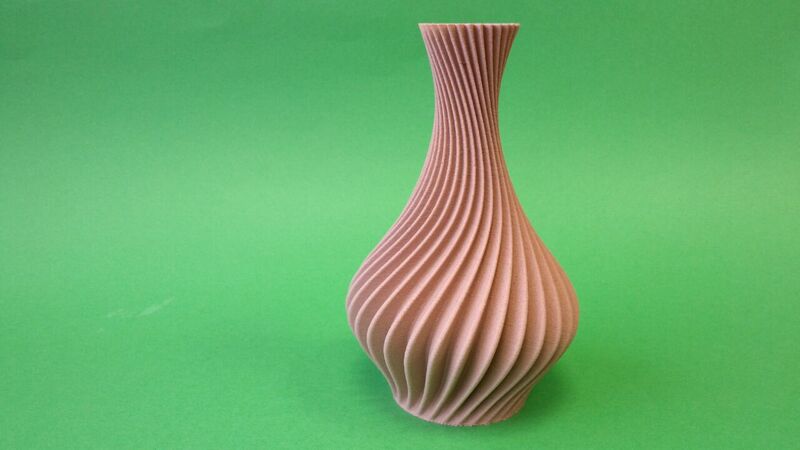 We contacted Simplify3D for some help to connect the Colido. Their response was prompt and detailed, and the machine is now producing some great results. 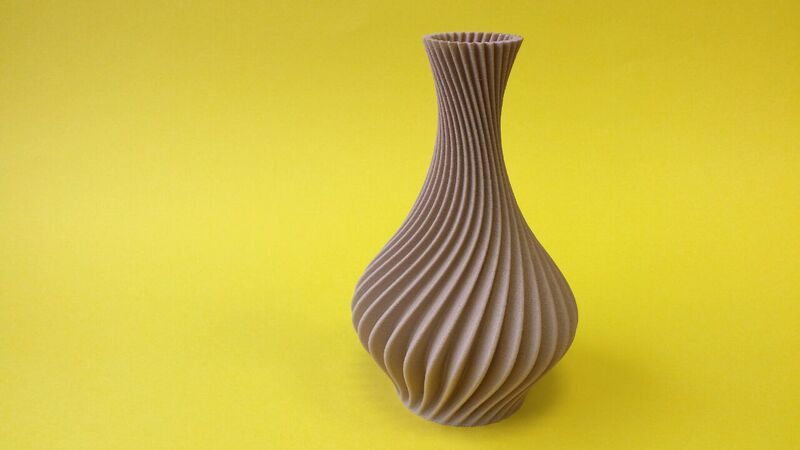 The Spiral Vase we downloaded from Thingiverse is currently our best looking piece. 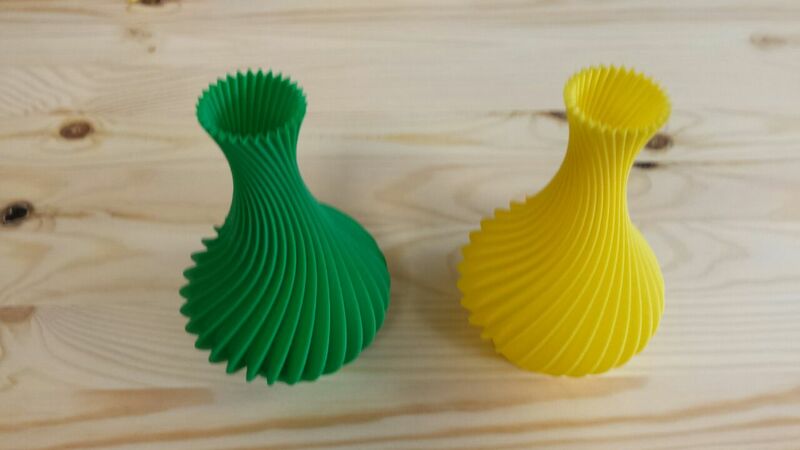 Our first prints were in ABS using the vase mode in Simplify3D and looked very good. 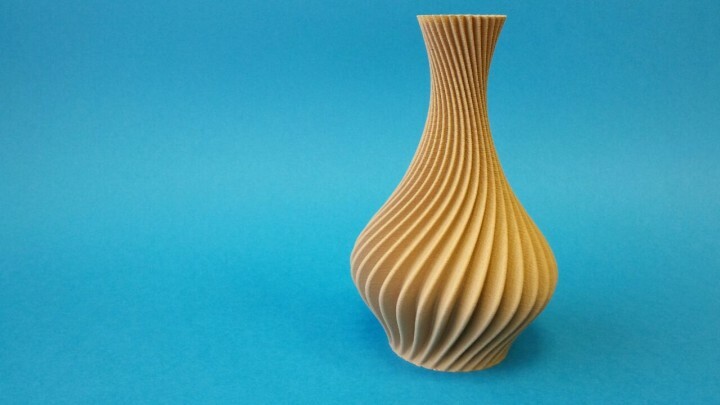 However, we were blown away when the wood filament was used. Below are some pictures of the 3D prints.